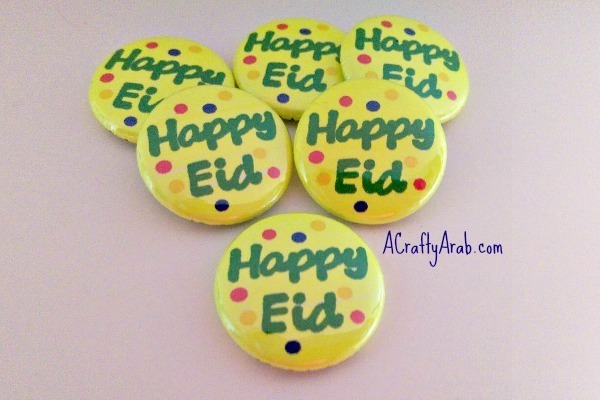 Happy Eid in a Set of 6 - 1 Inch pinback button badge pin. These can be added to fun party favors boxes. Or given out as accessories for jackets, hats, purses or anything really. Made in my non-smoking, pet free craft room. 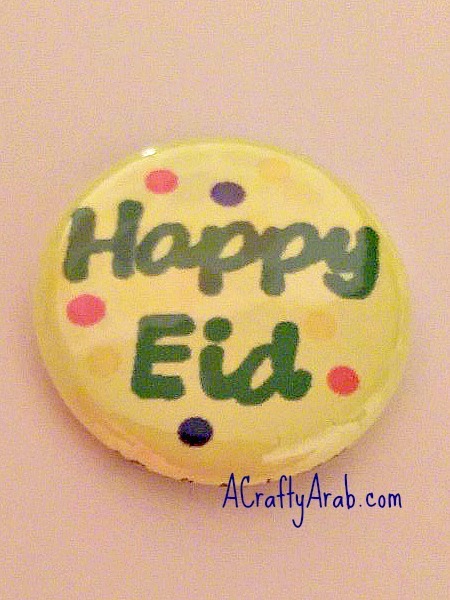 Pins are also available individually for $1.50 each and are 1 inch which is the about the size of an American quarter. Please contact me if you would like a larger order or any other design, including custom work for businesses, mosques, or bands.